Blooming tea is the recent addition to the world of tea. Flowering tea or blooming tea consist each of a bundle of dried tea leaves wrapped around one or more dried flowers. These are made by binding tea leaves and flowers together into a bulb and are then set to dry. 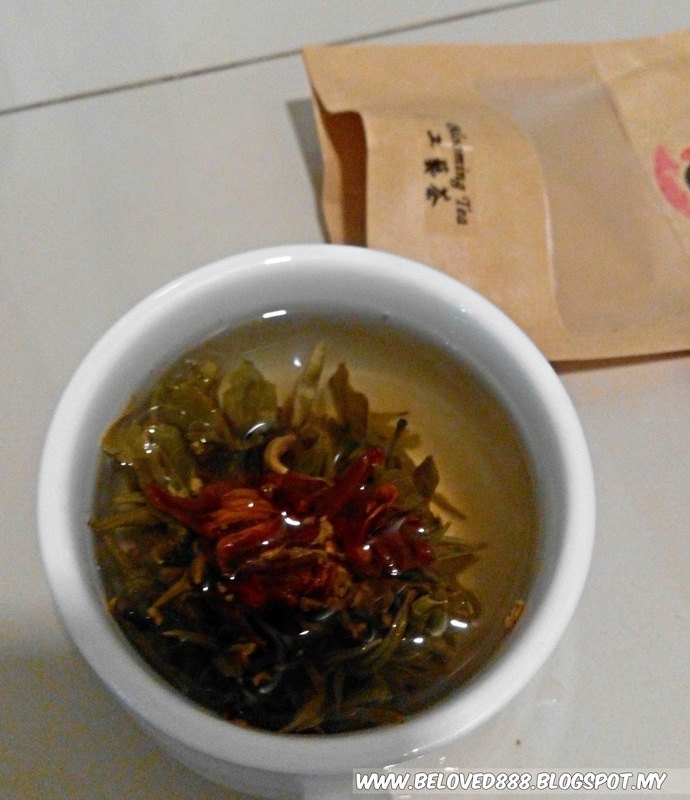 This is my first time try on Blooming tea from Hi Tea. I find the tea is unique to me while the taste is bitter to me. Blooming Tea are beautiful to watch as they transform themselves, with the help of some hot water, from a tightly-tied bundle of tea into a bouquet of flowers or a sculptural work of art. The taste of blooming tea is very enjoyable and mild flavor. Brewed the tea in a clear teapot so you can enjoy the bloom through the glass. Place Blooming Tea into the teapot. Pour the boiling water over the tea. Don't miss this moment as blooming tea begin to open and reveal the flower inside.Once a bud reaches full bloom, it is ready for your first cup of tea, which offers a strong aroma with a light flavor. The flavor gradually increases to a peak, then begins to fade with each subsequent steep. You not only enjoy the delicacy of tea and mellowness of flowers, but also can appreciate the sense of beauty. The beauty of Blooming Tea attract tea lover and it has become a trend whereby everyone enjoy drinking blooming tea. As you have read my write up regarding Bluberry FruitTea from Hi tea, you will indefinably love the Blooming Tea. Make your order now at http://www.hi-tea-boutique.com/ and no regret choosing your good quality tea from Hi Tea.